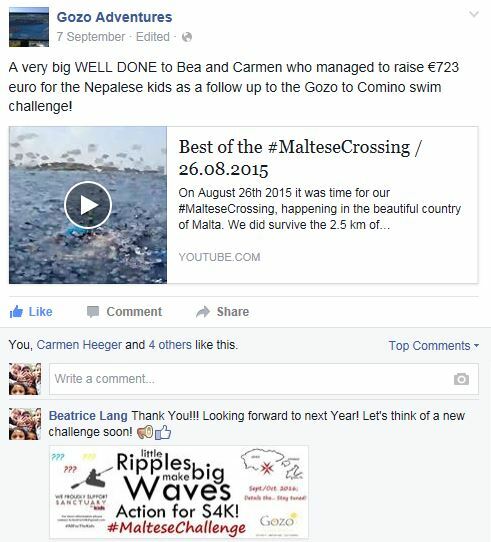 We first teamed up with Gozo Adventures for this summer’s (2015) #MalteseCrossing. To put things straight: Without them this fundraiser would not have happened! Not only did they advertise our event and made it happen, they also donated to #S4K. 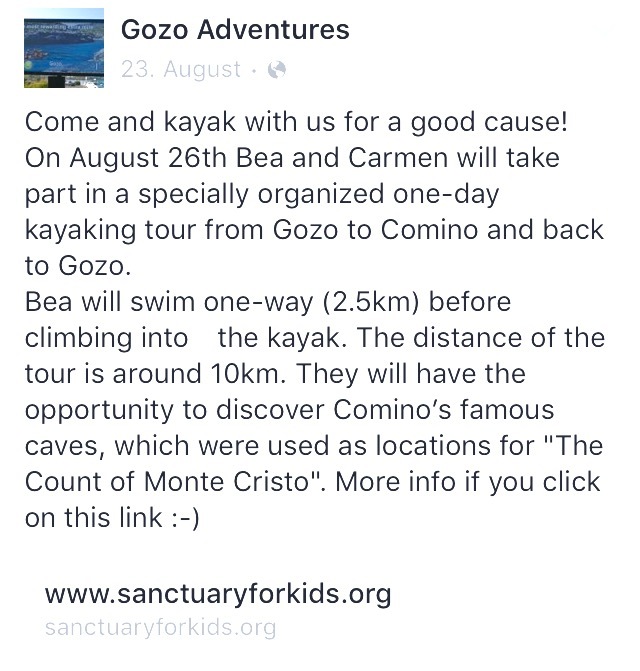 “Gozo Adventures” will team up with us (once more) for a second #MalteseChallenge to support #S4K in 2016!